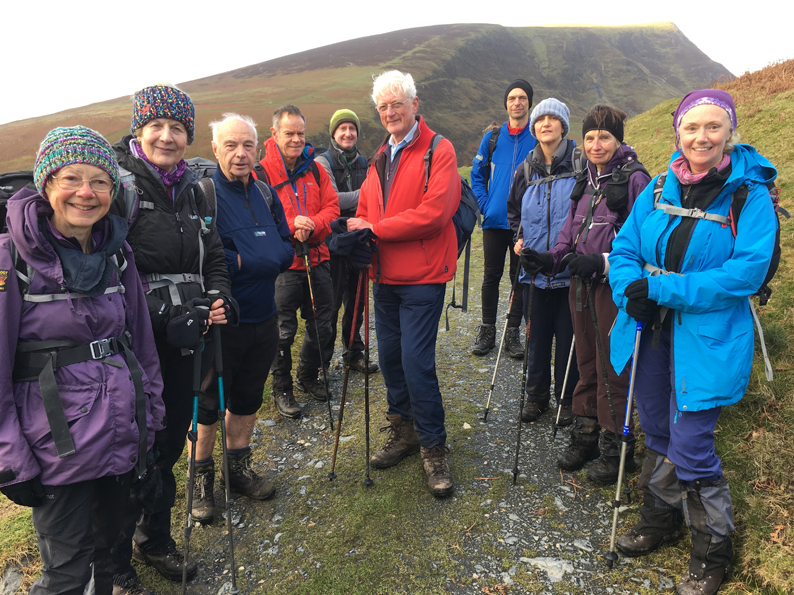 The Weather Gods looked down kindly on the second staging of the circumnavigation of Blencathra, which took place on Sunday 3 December 2017. 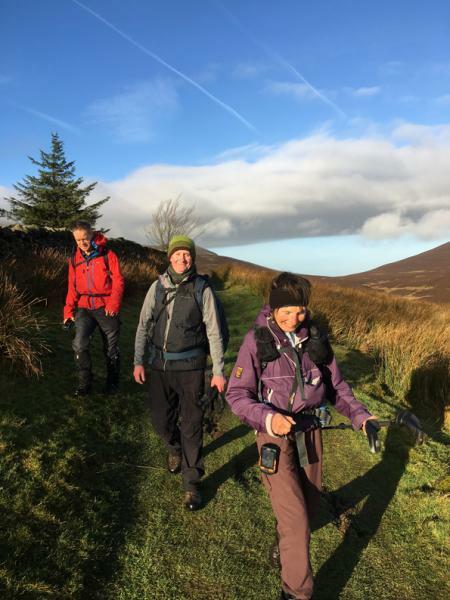 When the walk was first held in January 2016 snow and ice meant travelling to the start was particularly hazardous and only two hardy souls ventured out. 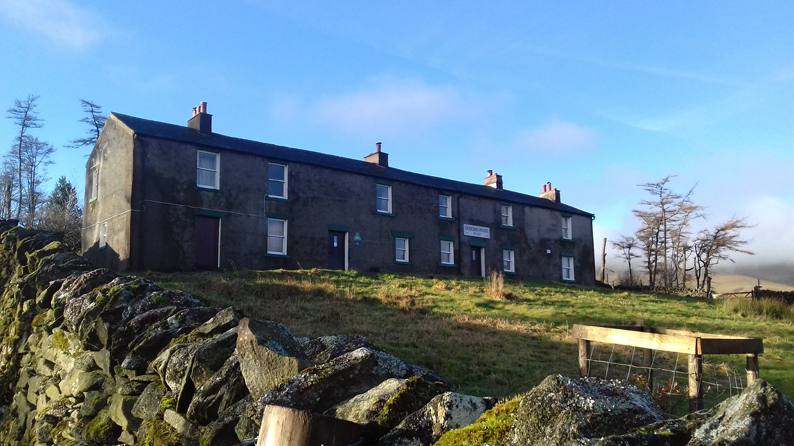 The pleasant temperatures for early December and clear skies resulted in 11 (7 Cumbria LDWA and 4 visitors) on the walk, which started at the car park at the side of the road just south of Bowscale village (Grid Reference NY 359316). 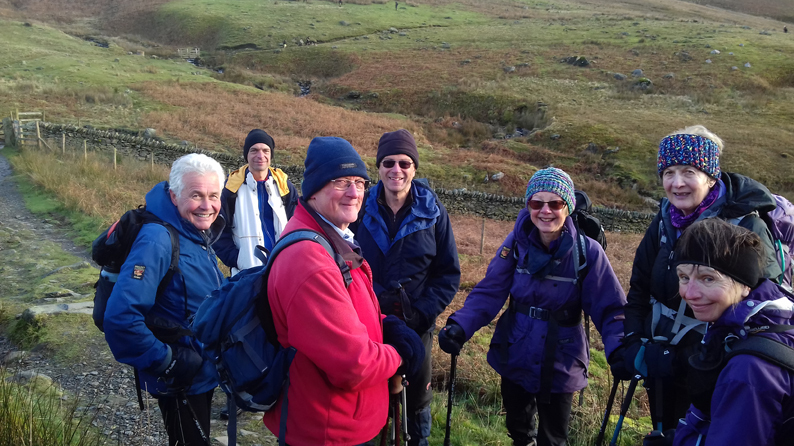 The group headed off through Bowscale village and the road out west next to the River Caldew. 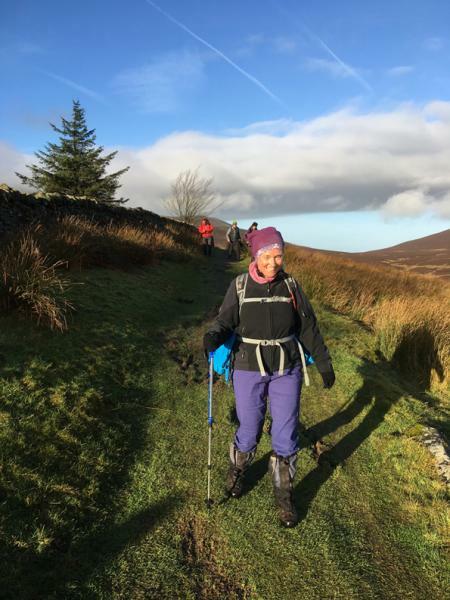 They passed Swineside and Roundhouse to reach the Cumbria Way and the south-west path to Skiddaw House. 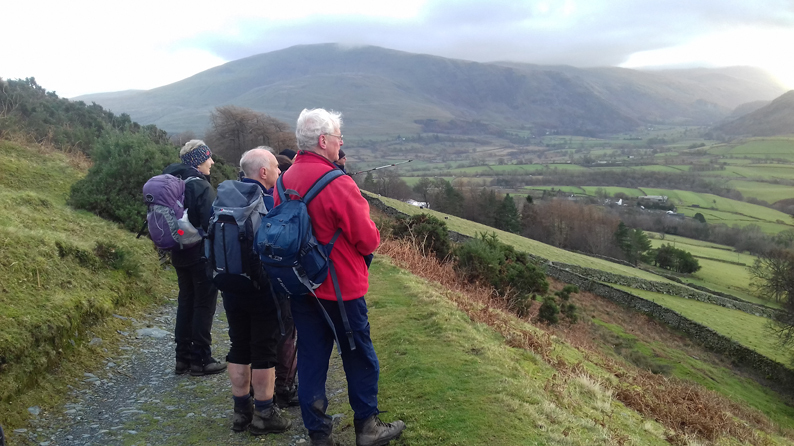 A morning break was deserved and taken outside Skiddaw House, with a magnificent view of Great Calva. 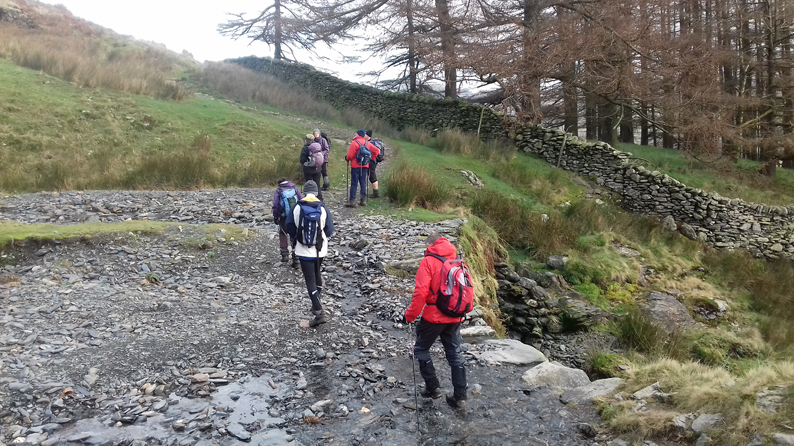 It was then down to the bridge to cross the Glenderaterra Beck, and a brief encounter with Tony Deall (Chairman, Cumbria LDWA) who was walking in the opposite direction. 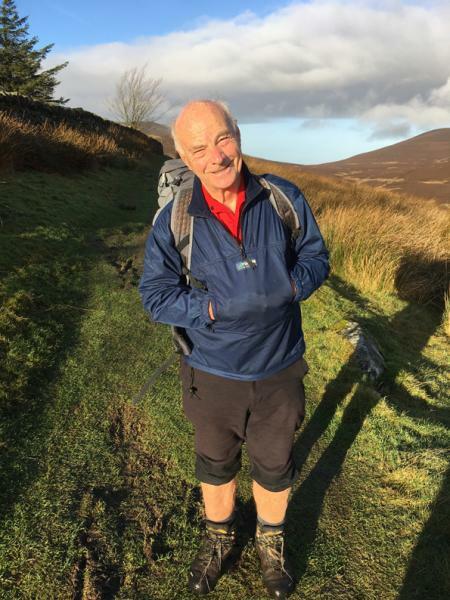 Tony was looking well after his most recent medical sojourn on his journey to become the ultimate bionic walking machine! 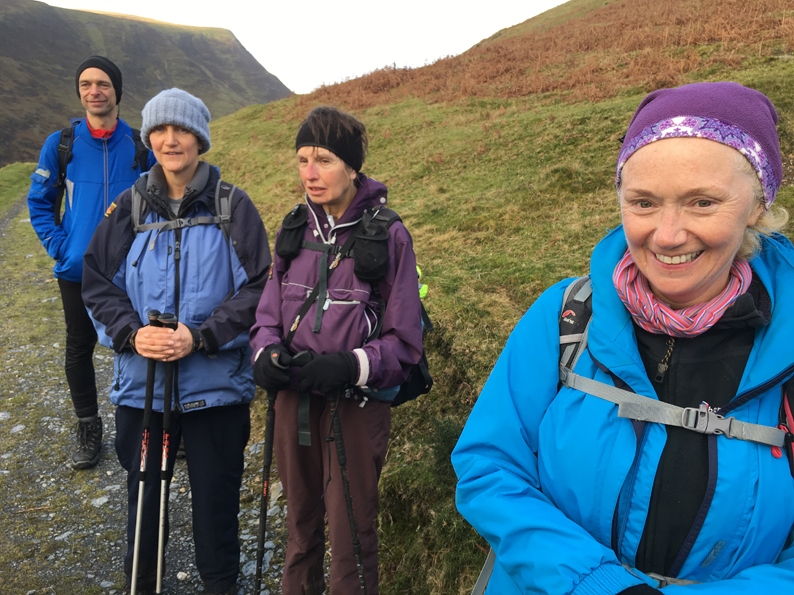 It was then down to the Blencathra Centre and a first glimpse of the magnificent ridges on the mighty Blencathra massive. 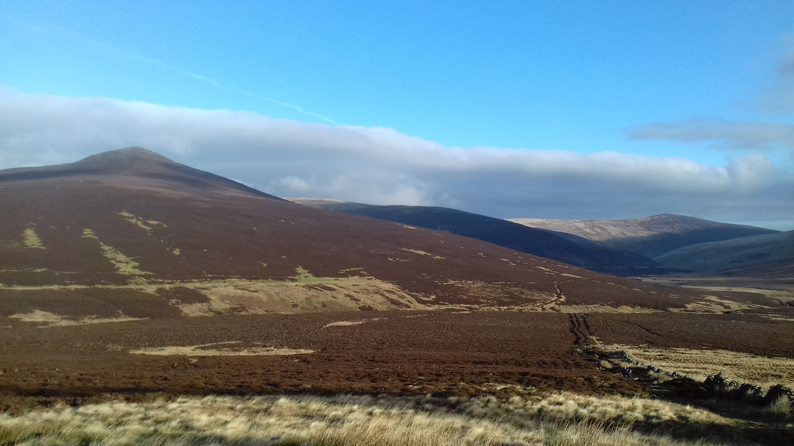 Fortified by lunch the intrepid warriors carried on, admiring Hall’s Fell and then stayed north of Scales to visit Mousthwaite Comb before dropping down to join National Cycle Route 71 to Mungrisdale, opening and closing the plethora of gates. 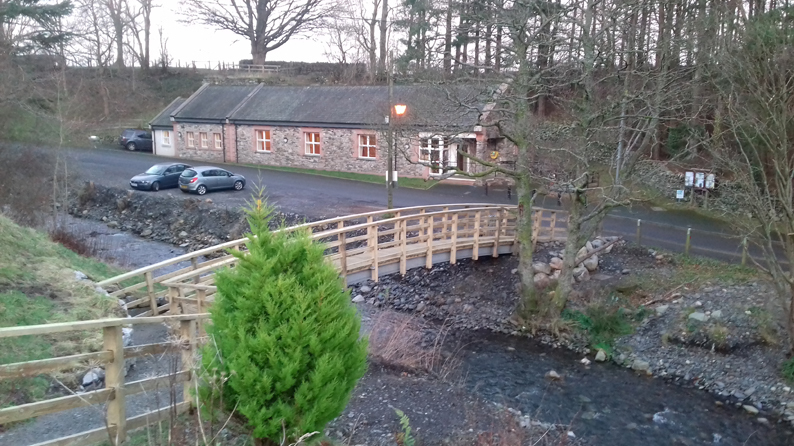 An opportunity to cross the brand-new bridge at Mungrisdale over the Glenderamackin and a final push back on the road to the car park at Bowscale just before dusk. A magnificent day out enjoyed by all involved. 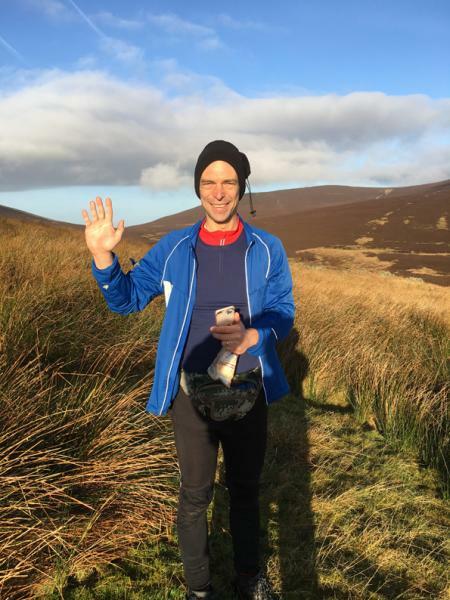 The vital statistics were 25.7 km (16 miles), 807 metres (2,650 feet) of ascent and a total time of seven and a half hours.